derksen|windt architecten (since 2008) has been fortunate to be able to realize diverse and beautiful designs, for many different clients. We start with a (non-binding) acquaintance in which we can discuss the/your assignment, From there to design and realization. 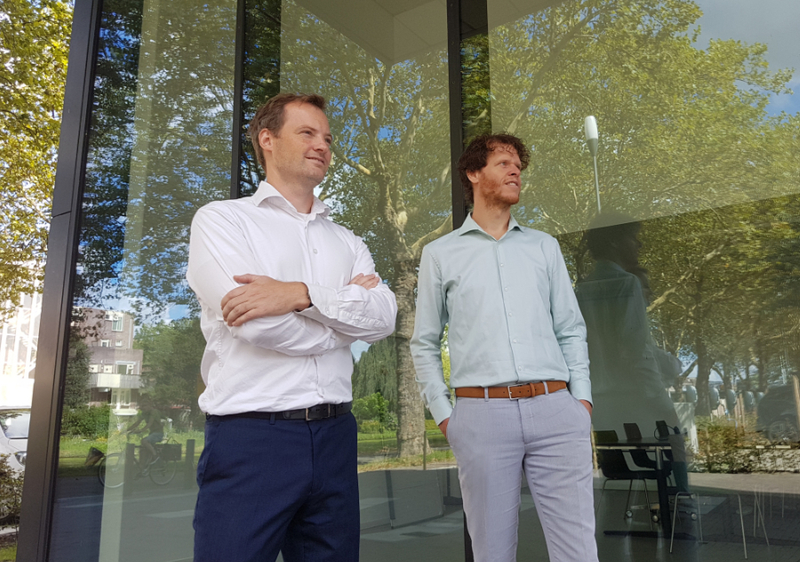 David Windt (1981) and Jeroen Derksen (1982) are both graduates of the master program Architecture at the Technical University of Delft. In addition, both have finished the master Building Technology, achieved an annotation in Urbanism and started derksen|windt architecten in 2008. David Windt originates from the region of Haarlem/ Heemstede and still lives there. Jeroen Derksen originates from the region of Midden-Delfland/ Maassluis and lives in Rotterdam. derksen|windt architecten is registered at the BNA (Branchevereniging Nederlandse Architectenbureaus) and is a chartered architecture office. To date we have worked in various municipalities and areas in the Netherlands. Sometimes with local knowledge, and often we got to know the location and municipality in depth for the specific project. Designing and building in new and unknown areas has never been a disadvantage. Here are some examples of villages and cities in which we were able and allowed to design something beautiful: Haarlem, Delft, Heemstede, Alphen aan de Rijn, Hilversum, Nijmegen, Wassenaar, Rotterdam, Amsterdam, Maassluis, Tiel, Midden Delfland. First and foremost we make and realise designs which started from the true wish and the future experience of the user. In this lies an important part of our profession; realising what we design. To make this happen we work the design through into the detail. In most cases a permission is necessary to realise a design and the application needs to be granted by the government. Applying for the environmental permit and, if necessary , writing a spatial support piece for changing the land use , are tasks we do and we arrange everything completely when asked. Finally, to get the design built, a contractor must be selected. This starts with making a technical description or a plan. Also making work- drawings and construction supervision is something we can do and is a part of the job we have experience in. To make sure a certain degree of quality is achieved is an important part of our business. Working with BIM (Building information Model) is becoming more important. Especially in larger projects it can bring profit, if used properly. Even without sharing the information from the model, a 3D model is very useful. The project becomes both technically and constructively more insightful. Finally, we use 3D a great deal in presentations and clarification of the design. From animations to renders, where we practically always combine this with non-digital / real scale models. derksen|windt architecten is always looking for qualified and motivated interns for a period of at least a quarter of a year, preferably six months (for 4 to 5 days a week). Are you enthusiastic and interested? Please send an email with your motivation, CV and portfolio to mail@derksenwindt.nl, addressed to David Windt or Jeroen Derksen. During our work we come along many sites, which we use ourselves or find interesting to follow. This involves architectural forums for inspiring design and fascinating references, it involves practical and informative (often government) websites and finally some websites that are simply interesting. We would like to share a selection of them with you. © photography derksen|windt architecten, for some of the projects © René de Wit and PP de Meijer and Fleur Kooiman and Studio de Nooyer and Stijnstijl fotografie and Dave van Leeuwen and Ruben Dario Kleimeer.